After trying several attempts at finding a good and stable stand for my iPad, so I can put it next to my desktop system, I was usually quite disappointed. Time to give it one more try so I went through the available iPad dock, stands and iPad accessories at mobilefun.co.uk and found this one. Since I am an Apple fanboy I also want a nice looking design and not some ugly plastic brick. I found the TenOne Design Magnus iPad stand. Curvy corners, silver aluminum color and no clips or anything weird like that, simply magnets and a design as if it was made by Apple. The first impression by my friends and myself is that it looks light and small. A fear started to grow that it might tip over as soon as you try to type on it or simply use it. Not to mention that the magnets might not be strong enough. For example, my cat likes to jump on my table and play with the iPad, she might just push it off the table or something. Time to put a towel down on the table and do the old cow tipping test. The stand uses the internal magnets that are made for the Apple smart cover, so this means the initial natural way to put it down in the stand with the home button on the left won’t work (see pic below). But that’s no big deal to me. Once it’s in the stand it looks slick and there’s only a thin silver ledge – a much nicer solution than many stands that ruin the awesome iPad design. The foot of the stand is small, but heavy enough. Just not too heavy. When you quickly pick it up to undock you pull it up for an inch and it might fall down. Do it slowly and the stand stays connected to the iPad and you can lift it up. Pushing it back and forth (see video) doesn’t result in it falling over. I expected this to be way less stable and am actually impressed with the weight and stability. Here’s a close up of the “ledge” where the iPad is leaning on, there is a little hooky corner to prevent the iPad from sliding off, and the magnets snap it in place and keep it there. Is this the solution for those who have a fancy desk with a clean top, no wires, and don’t want to ruin the design of the Ipad, and have it stand up properly next to their iMac, or whatever? Yes, certainly. And you can still use it, you have full access to the screen, no ugly clips holding it in place, and it’s stable enough to use it, type on it and it’s a nice viewing angle. 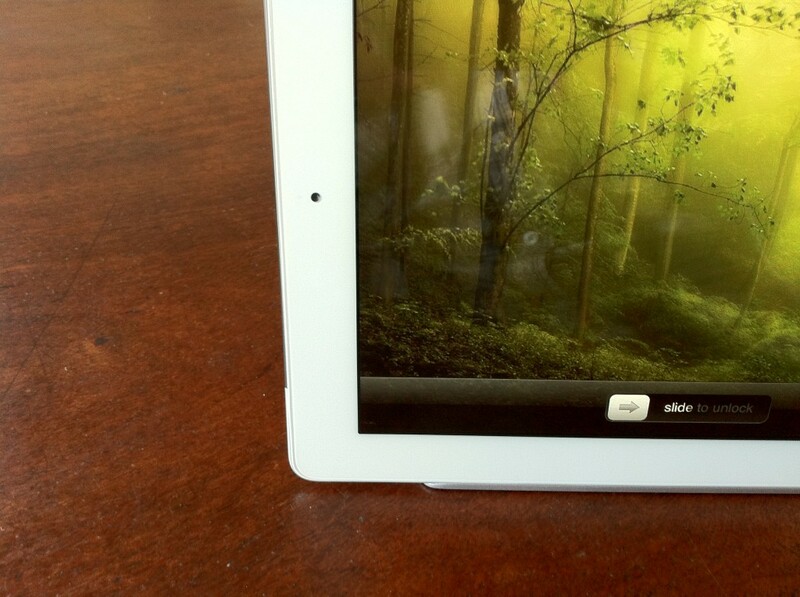 Is this the solution for those who move around a lot, take their iPad with them all the time? Maybe, I don’t think it’s ideal. 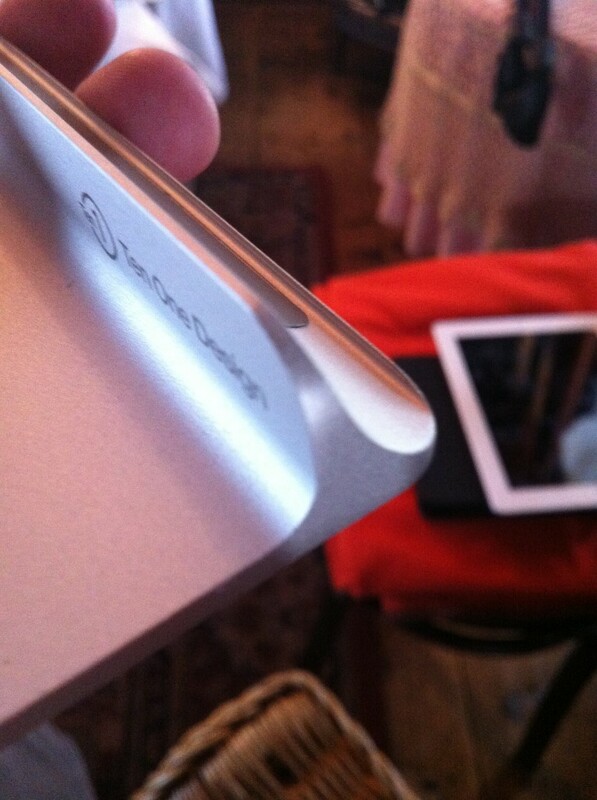 If you want to keep it scratch free you probably use a case (like I do) and you can’t use most of them with this stand. 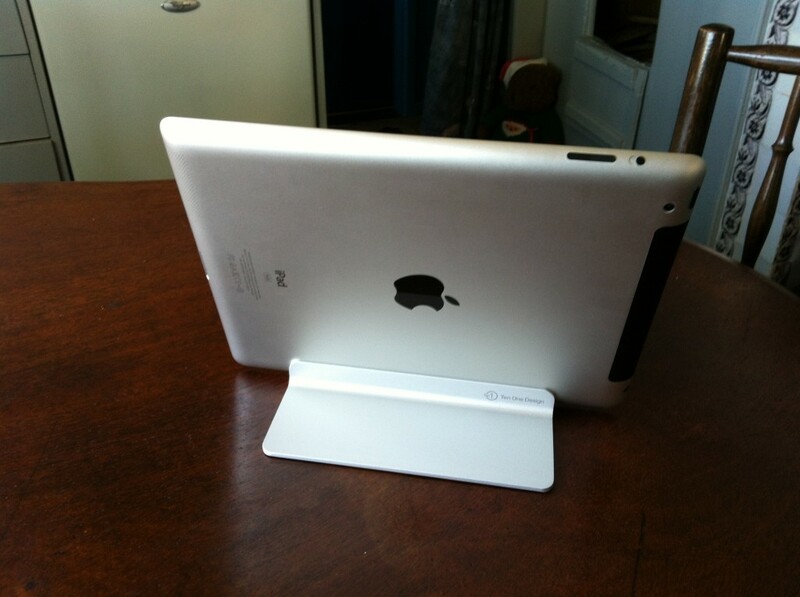 Overall, I think this is an awesome and elegant solution for people that want an Apple-worthy iPad stand. But one thing I noticed is that you need two hands to undock it quickly. I’ve life-hacked this immediately by putting a bit of (double sided) duct-tape at the bottom.